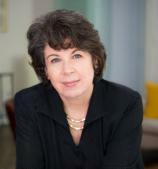 Meg Wolitzer is the New York Times bestselling author of THE FEMALE PERSUASION, THE INTERESTINGS, THE UNCOUPLING, THE TEN-YEAR-NAP, THE POSITION, THE WIFE and SLEEPWALKING. She is also the author of the young adult novel BELZHAR. Wolitzer lives in New York City. From the New York Times bestselling author of THE INTERESTINGS comes an electric, multilayered novel about ambition, power, friendship and mentorship, and the romantic ideals we all follow deep into adulthood --- not just about who we want to be with, but who we want to be.